In an article (below) in last Thurday's Haaretz, Israeli officials angrily accused French bank BNP Paribas of pulling out of Israel in response to civil society pressure in France. While BDS activists are currently directing robust campaigns against French companies like Veolia, BNP Paribas does not appear to have been targeted by BDS activists. The bank itself has said that it is pulling out in response to the ongoing financial crisis in Europe. While it may be difficult to ascertain exactly why BNP Paribas is exiting Israel, it is not difficult to explain Israel's enraged response: it is terrified by the growing international momentum of BDS. The palpable fear and anxiety exhibited by Israeli officials in the Haaretz article is further evidence of the strength of BDS as a powerful nonviolent resistance strategy. Bank of Israel Governor Stanley Fischer, Finance Minister Yuval Steinitz, Banks Supervisor David Zaken and their top officials believe the bank’s board of directors caved to pressure groups, contrary to its claims. The powers that be are furious at BNP Paribas for shuttering its operations in Israel, and suspect it is acting due to Arab and anti-Israeli pressure in France, the bank’s home base. Bank of Israel Governor Stanley Fischer, Finance Minister Yuval Steinitz, Banks Supervisor David Zaken and their top officials believe the bank’s board of directors caved to pressure groups, contrary to its claims.This is the first case in years of a foreign bank leaving Israel. BNP Paribas has had operations in Israel since 2003. Most of its business here involved financing large projects that involve French companies. The bank recently decided to shut down its local offices and dismiss its 60 employees. The bank claims this is because it sustained serious damage from the Greek crisis. Yet the only foreign branch is closing is its Israeli one, even though BNP Paribas has branches all over the world, including in Israel’s neighbor countries. The French bank is leaving a very limited representation in Israel. It does not need the Bank of Israel’s approval for this, even though its operations are still supervised by the central bank. Fischer and Zaken held several harsh discussions with BNP Paribas executives, which brought no results, and also denounced the bank’s actions in internal meetings. Fischer reportedly said that one of his goals as Israel’s chief banker was to convince large foreign banks to do business in Israel. 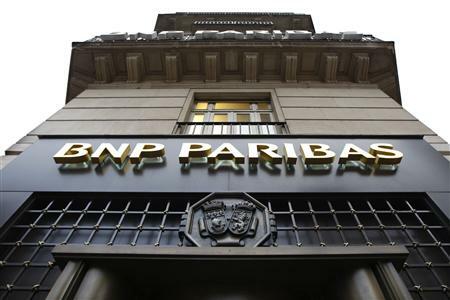 There is no reason for BNP Paribas to leave, he reportedly said. The Bank of Israel said it could not comment on a specific bank.